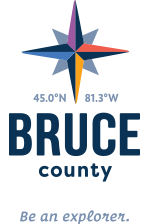 Located right in the middle of Port Elgin's downtown, you will find an amazing selection of fresh local produce, unique local artisans and yummy eats. The market is on every Wednesday throughout the Summer. This really is a must visit for visitors and residents alike and is a great place to meet the people that grow the food and make the artwork. Be sure to arrive early so not to miss out. For vendors looking to join the market, contact Laura McInnes on (519) 832-5565. Be sure to visit our facebook page to stay up to date.